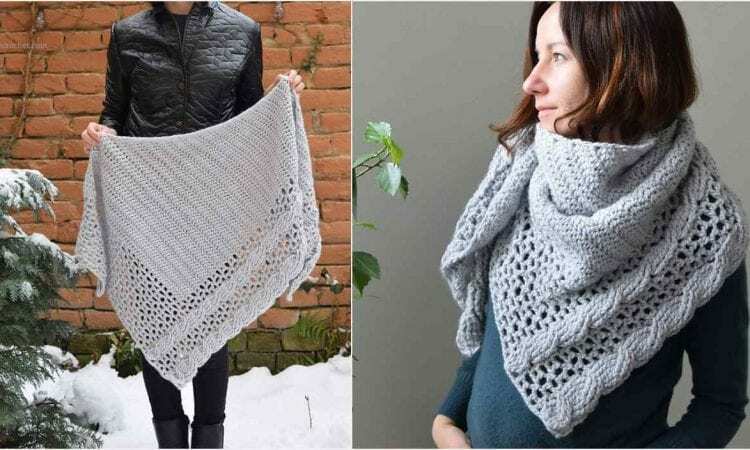 This shawl is an excellent combination of a light and lacy outer section with a rope-like knotted edge, with a dense inner portion that is warm and cozy. How could it be otherwise, though, since it has come to us from Tatsiana, one of the best regarded and most creative crocheters. This shawl will be a great cold-weather addition to your outfit and a fashion statement in its own right. Thanks a lot. It’s very nice shawl.